Take a look further down the blog for my late-night pitch-black ghost hunt round Burton Agnes Hall near Bridlington. I was joined between 8am and 9am by Matt Cardle on the very day he releases his 3rd album Porcelain! We chatted about the album, he answered your questions AND we talked about him performing at our 20th Birthday Party at Scarborough Spa on 7th November! It's an invite-only event BUT you can win your tickets by clicking on www.yorkshirecoastradio.com/birthday and listen back to today's interview by clicknig the play button below! The Snowdrop Appeal is raising £120,000 to fund a new Maternity Bereavement Suite at Scarborough Hospital. It will give families who lose a baby during birth or pregnancy their own space, away from the main maternity ward. Many people taking part in next Sunday's McCain Yorkshire Coast 10k Road Race and Fun Run will be fundraising for the cause. I spoke to runner Laura Bluck, Snowdrop Appeal boss Maya Richardson and first to Chris Clayton, one of the organisers of the 10k. To contact Maya, call 01723 236210 or email charity.fundraising@york.nhs.uk. Just 2 days after my Bridlington Half Marathon, Triathlon stars Alistair & Johnny Brownlee joined me on Paddy In The Morning this morning! And they'd heard about my Bridlington Half Marathon and all the fundraising! Click the play button to listen to the whole interview! Kacey Ainsworth stars in Laughton at Scarborough's Stephen Joseph Theatre from Friday 17th October.. This morning she popped in for a live chat with me! Click the play button to hear it in full! My Halloween Family DIsco for The Katie Walker Cancer Trust! Camilla Dallerup came on my show on Friday 4th October to tell me how excited she is to be spending a month in Bridlington this Christmas (She's playing The Fairy Godmother at The Spa, Bridlington) and her new role in this year's Strictly Come Dancing! 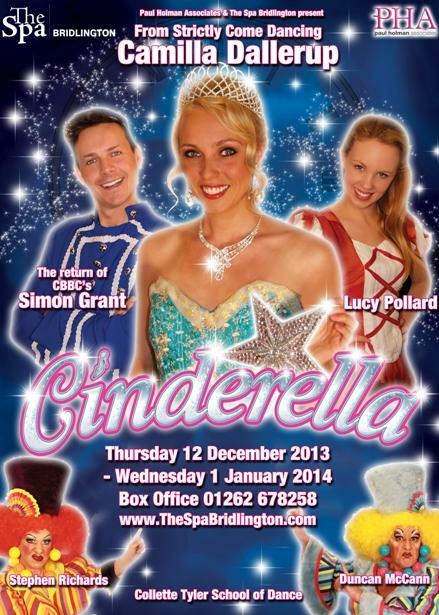 Tickets for Cindarella (12th Dec until 1st January) are on sale from The Spa Box Office on 01262 678258 or at www.thespabridlington.com - Click the play buttons to hear part 1 and part 2 of our chat! On Tuesday 1st October I decided to run up the 199 steps in Whitby from bottom to top in the quickest time I could. I asked my listeners to come and watch and guess my time in return for a donation for The Katie Walker Cancer Trust (my Bridlington Half Marathon Fund). Amazingly you gave me £115 in total to see me tank up the steps in 35 seconds! A video is coming soon but listen to highlights by clicking the play button! I've also added some photos too!